A Good Lancia mechanic in South East London or thereabouts. 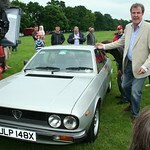 Lancia Beta Forum > General Category > General Discussion > A Good Lancia mechanic in South East London or thereabouts. Re: A Good Lancia mechanic in South East London or thereabouts.